Gait Transfer Belt w/ Metal Buckle, 58"
This peri bottle is durable and flexible, and the water flow can be easily regulated by lifting the cap and turning - and when it's closed, it won't leak. Perineal irrigation bottles are great for post-surgery pain relief, as well as more hygienic and efficient cleanups. This product is also useful as an'extended reach' perineal care aid for individuals with lower mobility. For soothing pain relief, fill with warm water and use as normal. This 8 oz. 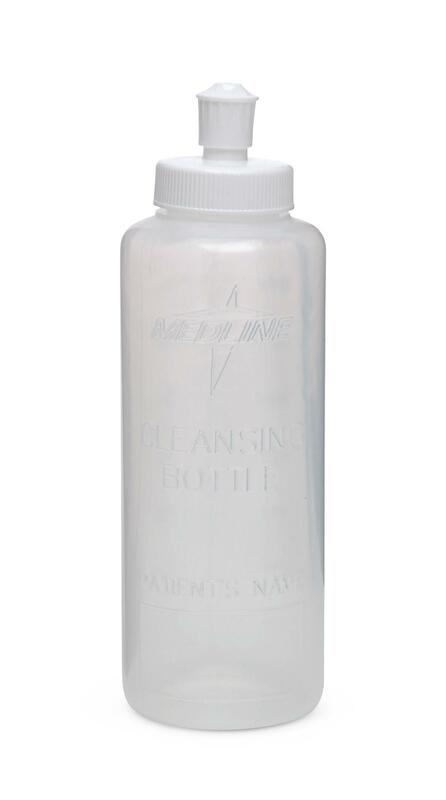 disposable Perineal Irrigation Bottle by Medline is popular for its low price and portability. Get one bottle or order them in bulk to get free shipping on your $50 order!